While this may come as a surprise, the NL East is NOT very good. While top heavy with the Mets and Nationals, the bottom three teams make up some of the worst in baseball. The Good news? 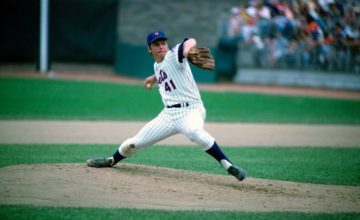 Mets play 76 divisional games which makes up just under 47% of the schedule. Playing each team 19 times this year, here are my CONSERVATIVE estimates for head to head record divisional record in 2016. Seem far fetched? Well, the Mets were actually 2 games better than that in 2015 going 47-29. The team is clearly better this year, which makes my estimate not only conservative, but legitimate. The improvements the Nationals have made are debatable, specifically defensively and in their bullpen. Racking up the W’s is important regardless of who the opponent is on the path to 90 wins. The significance of getting out of the gate quickly can not be understated. 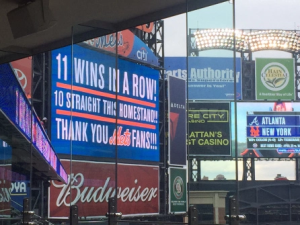 In 2015, much to the credit of an 11 game win streak, the Mets went 15-8 in April. But what makes this so important? A fast start allows the club to weather some cold stretches, injuries, and spot starts by people other than the young guns. After their torrid April last year, the Mets did not fall to the .500 mark again until June 23rd. That day, a sixth consecutive loss, was started by John Niese (now a Pirate) and featured a lineup with Ruben Tejada (Cardinal), Michael Cuddyer (Retired), Dilson Herrera (Minors) and a lone pinch hitting appearance by Darrell Ceciliani (Blue Jays Minors). 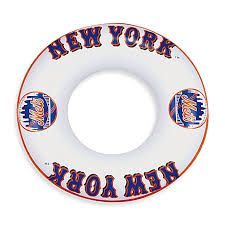 This was the 6th of 7 straight losses and one of the only NINE days the Mets spent with a .500 record in 2015. What’s more, the club was only UNDER .500 twice. The first after a Dillon Gee start in April (2-3); the second being the day after the game listed above (36-37). 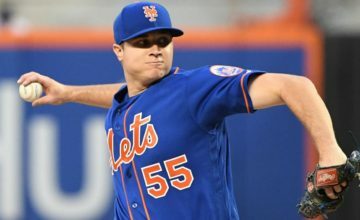 Starting fast should, again, be a realistic expectation with a ‘soft’ April, where 15 of the Mets’ first 20 games are against the likes of the Phillies (6), Marlins (3) Braves (3) and Reds (3) is essential. It allows some wiggle room for a bad stretch or two and keeps the New York media at bay. 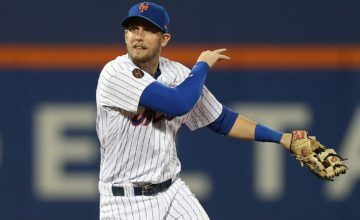 The Mets winning early means other teams being turned into sellers sooner. This, in turn will open the door for another mid-season B12 shot to the organization. More wins naturally means more fans, freeing up some capital for the organization to acquire said improvements. Extracting already explained divisional games and taking the liberty to assume a Subway Split (2-2) vs the Yankees in August (still realistic) and a split with the Royals (2-2, still realistic?) leaves us with 78 games remaining on the schedule. These games, against the NL Central, NL West, and a smattering of remaining interleague contests must account for 41 wins. A record of 41-37 against these many opponents is still realistic with the amount of talent on this team. 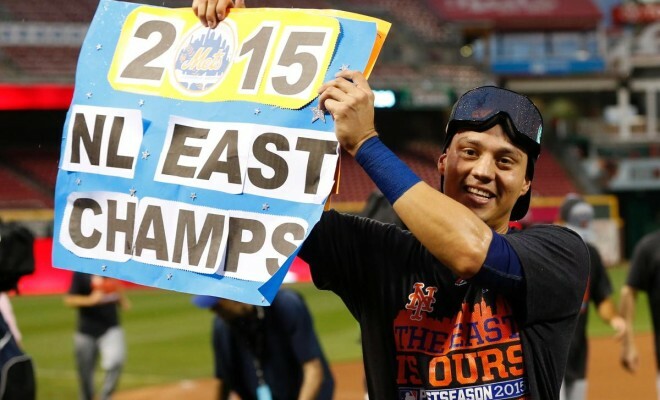 Using 2015 again as a reference, the Mets were 34-31 against the NL Central & West. These projections make 2016 only a marginal improvement on last year with a far from marginally improved roster of talent. To close, all these REALISTIC keys and projections are predicated on one thing, HEALTH. The team breaks camp healthy and should hopefully compile some precious wins early. Very unique, and well thought out, but this organization has the propensity to creatively mess things up….so we shall see. Easy to make the argument that they are better than a year ago and 90 wins is certainly a realistic ambition. But could the Nats get 91? They could on the basis of the same theories that you put forth RE: the NL East. A 90 win Met team could realistically be a wild card team. Thanks for reading. But mathematically not realistic to get 181 wins outta of first and second. More like 175. Not enough wins to go around when you look at the talented central and improved west. Look at the vegas over unders as a reference.